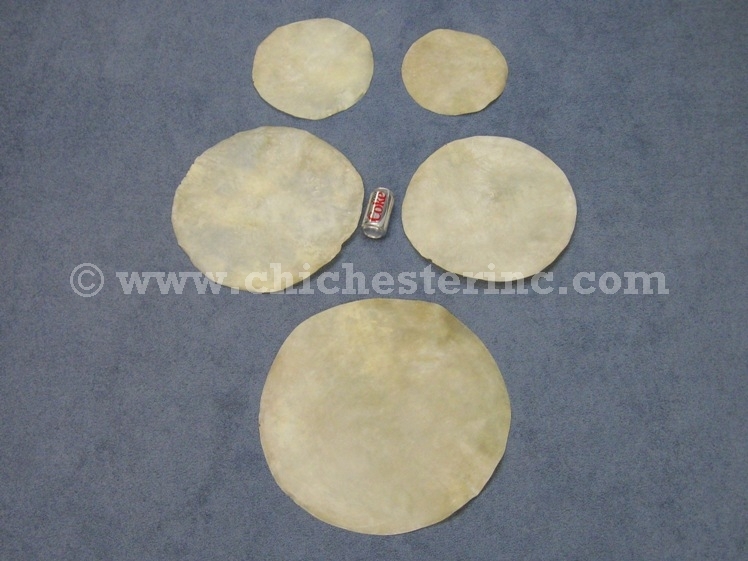 These pre-cut discs made of goat rawhide are ideal for making drums. The white powder on the rawhide discs is boric powder which is used to prevent them from sticking to each other. 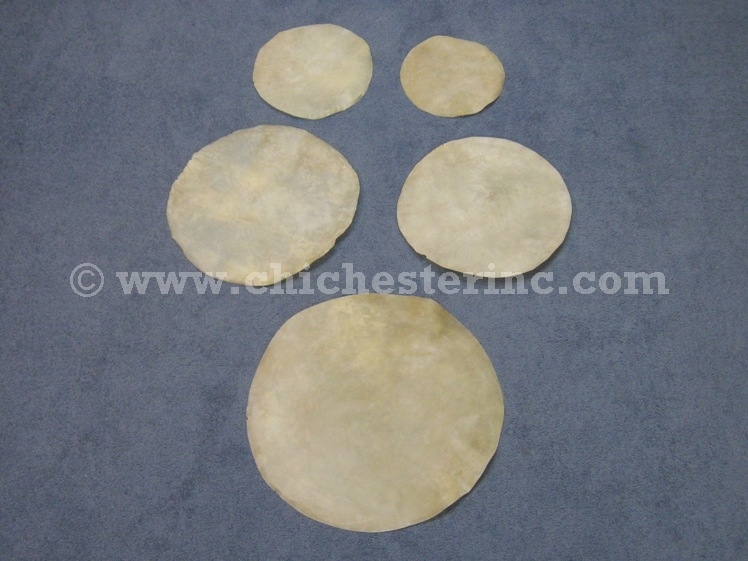 Goat rawhide is really thin and is better suited for making hand drums. Cow rawhide is thicker than goat rawhide and is more suitable for making drums that use drumsticks. Goats are not an endangered species. The skins are a by-product of the food industry. The goats are not killed just for their skins.